Have you checked the prices in Oslo, are you going to study there (or just landed) and are horrified at the prices? This blogpost is originally intended for students or young people in general, but can also be applied to other people who intend to live in Oslo and travel around. It can also apply to other cities in Norway such as Tromsø and Trondheim for some of the points (food and clothes for example). Cheaper grocery stories: Prices are different in different supermarkets in Norway. Meny is the most expensive, with also a higher range of products, while Kiwi and REMA 1000 are among the cheaper shops. They have price battles all the time, so check out for different sales or promotion campaigns. When going to those supermarkets, their own supermarket brands are almost always cheaper than the other choices. The supermarket brands are called First Price and Eldorado. Supermarkets also often have a corner with huge sales on products which have a “best before” date today or tomorrow. Most food is fine after that, and sales can be from 20% to sometimes 70%. Another option in Oslo is to shop in immigrant shops in Grønland, much more choice in terms of vegetables, and usually cheaper. Sweden trips: Food is cheaper in Swedish supermarkets, including alcohol (in Systembolaget, Sweden’s state-controlled alcohol shop), although you should check with the exchange rate between SEK and NOK before throwing yourself at a Swedish trip. Buses costing 1 NOK leave from Grønland in Oslo every morning, see here. (Website has not been updated in a while, if anyone has more updated info let me know). Free: dumpster diving. Norwegians throw away 1 food bag out of three on average every year. A lot of that food is still good to eat. I have friends who survived and even ate well on dumpster diving in several Norwegian cities, but it’s at your own risk of course! Here it gets tricky, as Norway has higher prices for food when eating out. Some cheaper options are however available. IKEA: There is a free bus leaving from close to Oslo S every hour, going to IKEA (two in two areas of Oslo, West and East). In IKEA’s cantine you get a full and warm meal from 69 NOK, see here for examples. In town: I refer to this webpage made by Olsoby, where a list of good and “cheap” restaurants is shown. Deli De Luca is not a restaurant but has warm food at a low price (49-80 NOK roughly) and you can sit there. The cheapest warm food available is a sausage in white bread from Narvesen or 7/11. You should buy beers in supermarkets, not in bars (around 30 NOK in a supermarket and up to 85 NOK in a bar for the same beer). Buy alcohol in Sweden with your allowed quota per adult, and hang out in student bars on campus. It is legal to make your own beer in Norway, just saying! There are second hand shops in Norway with an impressive amount of good quality clothing for lower prices. Including woollen jumpers you will need in the winter. Check Uff and FRETEX. Both in Oslo city centre and the rest of Norway. Finn.no is a gold mine for anyone looking for free stuff. Here you can get things which people give away in Oslo (Gis bort in Norwegian). The search can be changed, and the list of the things being given away is long, from sofas to lamps, make up, clothes, instruments, chairs, plates, bicycles, books and so much more. Check the main site Finn.no, with “gis bort”, your city and what category of things you want to see. 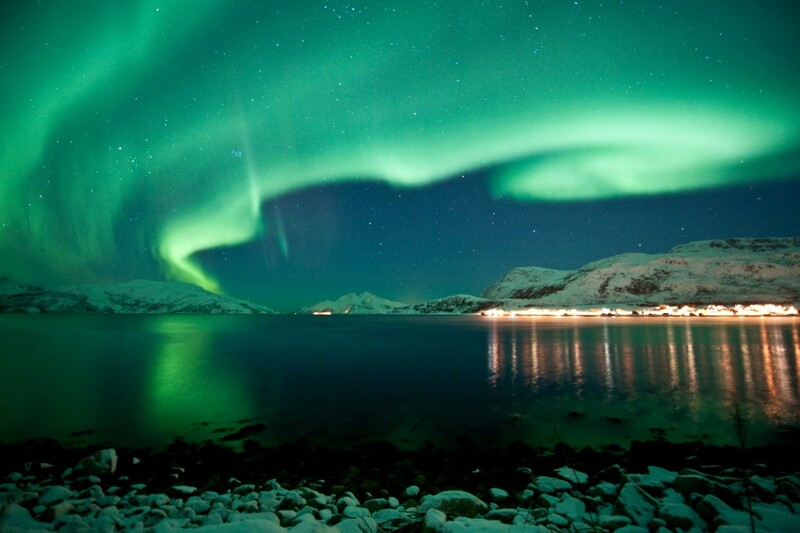 Northern Lights over Tromso. Photo by Gaute Bruvik, Nordnorsk Reiseliv. Car: If you have a tight budget I do not advise you to buy or even bring a car to Norway. 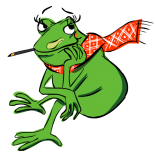 Cars are heavily taxed (unless it is an electric car) and taxes, car insurance, tolls and gas will slowly eat chunks of your budget. Instead of that use a bicycle, or for longer distances trains and busses. If you really need a car you can rent one or become a member of Billkollektivet which is car sharing platform. As a student or youth between 16 and 30 years of age you also get 25% off all tickets (on their full price). See here for more info. Avoid buying your ticket on the train, as an extra fee applies. To Sweden by train: Book your ticket in advance on SJ (Sweden’s railway company), as it is cheaper than on NSB when crossing the border. If you want to go to Stockholm for example. Plane: Norway is a long country, and some places are not accessible by train (everything north of Narvik). I advise you check out sales on Norwegian.no. Right now they have a sale with trips from 199 NOK per flight in the whole of Norway. Time to book your flight to see the Northern Lights for the winter, maybe? To and from Oslo airport: There are many ways to get to Gardermoen: bus and train and express train. The express train (Flytoget – The flying train) costs 180 NOK and has 50% off for students, so it costs 90 NOK. NSB (regular train) costs 90 NOK with 25% off, so 67,50 NOK per trip. Still cheaper with NSB. Museums and Parks: In Oslo some parks and museums are free (Vigelandsparken, the King’s castle park etc.). See here for free attractions in Oslo. Here are also some attractions and festivals which are free of charge, including many concerts! More free things to do here. Opera: If you are under 30 years old you can get priority to buy cheaper tickets at the Opera, see here. Write an email at this address to get your name on the mailing list and receive the promotions. Otherwise you can get tickets for most of the shows for as little as 100 NOK. Your seat will not be great, but you are in a beautiful opera! 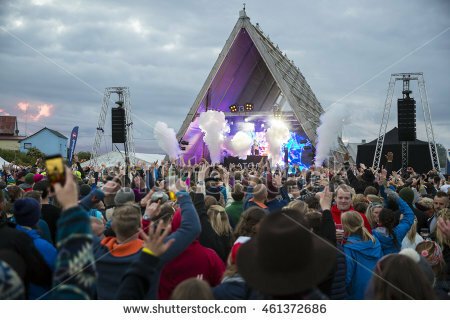 Music festivals: There are many music festivals in Norway, and all of them look for volunteers who will work a few hours during the festival in exchange for a free pass, and sometimes food. Here is Visit Norway’s page on festivals, Here are all the festivals in the whole country. Look out for the mention “Frivillig” which means “volunteer” and see what you need to do to listen to music for free! Public in NRK shows: NRK is Norway’s national broadcasting agency. They have television shows which need a public, and one can attend for free for any show that interests you, including culture and music. For example if you want to be in the public for the show Lindmo you can register here. Forests are free to hike in, and lakes are free to swim in. It is free to ski in the forests on the tracks. The Norwegian right to roam gives you the right to camp anywhere in the forests of Norway (some rules, 100 m from a river etc.) for three nights in a row. If you are a student you hopefully already have a place to stay with SiO. If you need a place I advise you check this website or go and talk to them in person in the city centre (UngInfo, Møllergata 3). They help young people figure out finding an accommodation, getting health care, finding a job etc. And they also give you free coffee! Another website, Life in Norway, has a page on Oslo but also on many details on moving to Norway. To learn more about Life in Norway as a foreigner, you can register on my mailing list on the right side of the home page of my blog (Follow us button)to receive all my blogposts for free, and/or register your interest for my book coming out soon. Already available in Norwegian in bookshops and online. Next Next post: Understanding the 2017 National Norwegian Elections – for confused foreigners.